Pyari Mohan das was born in Brooklyn, New York. Upon completing his high school education he spent four years in the Navy, then one year travelling throughout North America searching for the purpose of life. Afterwards, he ended up back in New York City where he visited a Hare Krishna temple for the first time, located on Henry Street in Brooklyn. After attending three Sunday Feast programs he began going to the temple everyday. Pyari assisted the printing of Srila Prabhupada’s books at ISKCON Press, located a few blocks from the Brooklyn temple. One day the press rented a truck to deliver the books for binding to a bindery in Nashua, New Hampshire and Pyari went along to help. On the trip back to New York they stopped at the Boston temple for the night, where Krishna revealed to Pyari that the Boston temple was where he should move in, not the Fiji temple where Pyari had been contemplating moving to. Thus in 1971, at 23 years old, Pyari moved into the Boston temple, located at 40 North Beacon Street in Allston. He was one of the oldest devotees living in the temple at the time. Pyari Mohan was initiated by Srila Prabhupada in April of 1972. While part of the Boston temple he first became the treasurer, then went out all day on harinama sankirtana. After that he became a book distributor, then a van leader taking devotees out on traveling sankirtana, distributing books up and down the East Coast. In 1974 Pyari was transferred to the Radha Damodara Traveling Sankirtana Party for which he was once again in charge of a van of devotees traveling around the country distributing Srila Prabhupada’s books. He served with the Radha Damodara Party from the beginning until the very end. Pyari then was put in charge of the book distribution sankirtana for Chicago and then for Philadelphia. 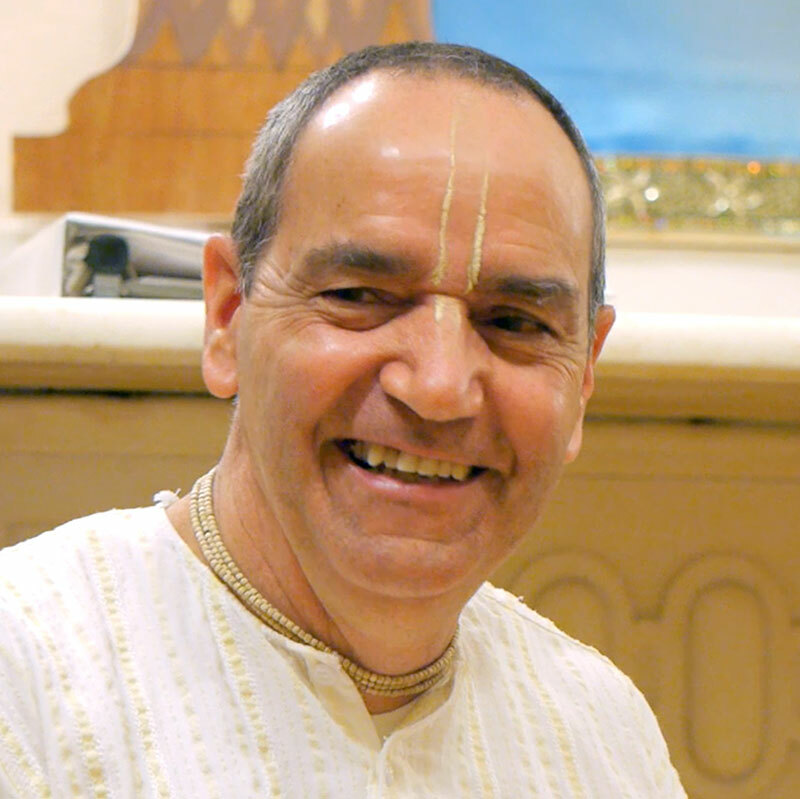 In 1981 he became the temple president of ISKCON Hartford, where he is still engaged in that service. He has been a temple president longer than any other temple president in all of North America. Pyari has never received a salary or stipend from ISKCON to maintain himself or family. Any donations he receives for performing yajnas or pujas he donates to the temple (unless specifically told to keep it for himself). Pyari maintains his family by working a few hours a month performing magic shows for children. The "magic words" he gets all the children to chant is "Radhe Govinda!" His wife Jivanausadhi devi dasi ("Jiva"), also a disciple of Srila Prabhupada, runs the Hartford temple while Pyari is in Boston. They have one son, Shyam Ananda, a daughter Nila Gopal, and a 5-year-old grandson, Madhu Mangala. Pyari Mohan hopes he is able to be an instrument for Sri Sri Radha Gopivallabha and to help the Boston temple grow. He believes Sri Sri Radha Gopivallabha brought him back to Boston to be engaged in Their service, and he is happy for the opportunity to once again serve Them.